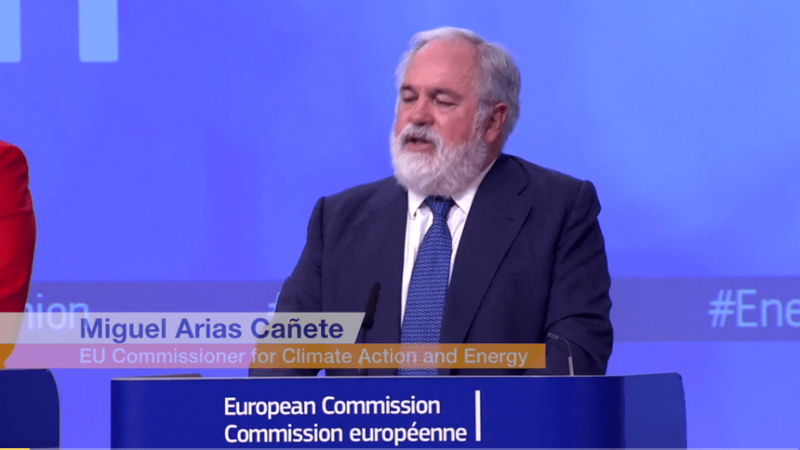 “These targets are realistic, fair and flexible,” EU Commissioner for Climate Action and Energy Miguel Arias Cañete said on Wednesday after the EU unveiled national targets for cutting greenhouse gases in ‘non-ETS’ sectors by 2030. Sectors like transport, buildings, agriculture, waste, and land-use are not covered by the EU Emissions Trading System but contribute to global warming. Today’s Effort Sharing Regulation sets emission cut targets for those sectors for each member state. Germany and Luxembourg must cut emissions by 40% comapred to 2005 levels, while Finland and Denmark must cut emissions by 39%. Britain and France are asked to cut emissions by 37%, while Netherlands and Austria should cut their non-ETS emissions by 36%. “The 2030 targets will be based on relative GDP per capita of each member state. This ensures fairness,” Cañete added. EU member states will decide how to implement the measures to meet the agreed 2030 target. The Commission also presented a strategy on low-emission mobility. “The demand for transport continues to increase and therefore, if nothing is done, the sector will become the largest emitter of CO2 emissions after 2030,” EU Transport Commissioner Violeta Bulc said. “EU low emission mobility offers really good opportunities for the EU economy and to help the EU meet its climate goals,” she added.